The spectacular Con Dao archipelago of islands hosts the Six Senses Hideaway Con Dao along a white sand beach surrounded by dramatic mountain landscapes. The remote setting and preserved natural landscape provides an extraordinary sense of seclusion, creating an ideal place to escape and relax close to the natural elements. 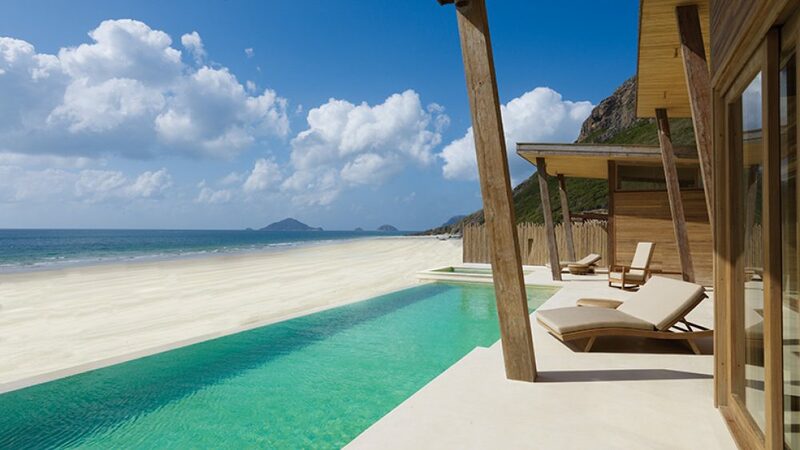 Six Senses are masters of subtlety and style and their new development in the Con Dao Islands looks like the perfect blend of eco-friendly island retreat, modernist design and unabashed luxury. A different destination, done differently, we look forward to exploring these beautiful islands the Six Senses way. Embrace the slow life.